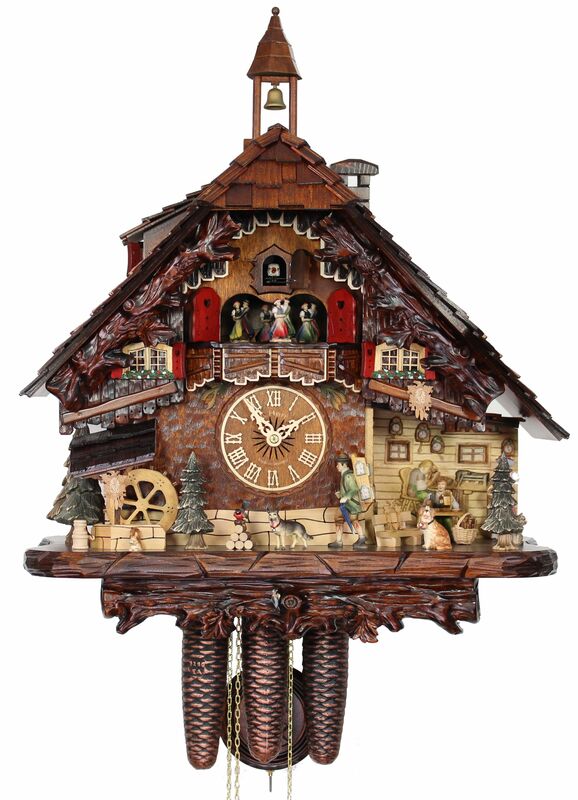 The theme of this exclusively detailed clock is the history of cuckoo clock crafting in the Black Forest. It is a limited edition of which 1000 pieces will be produced. The typical Black Forest house has a shingled roof with a chimney and an attic window. 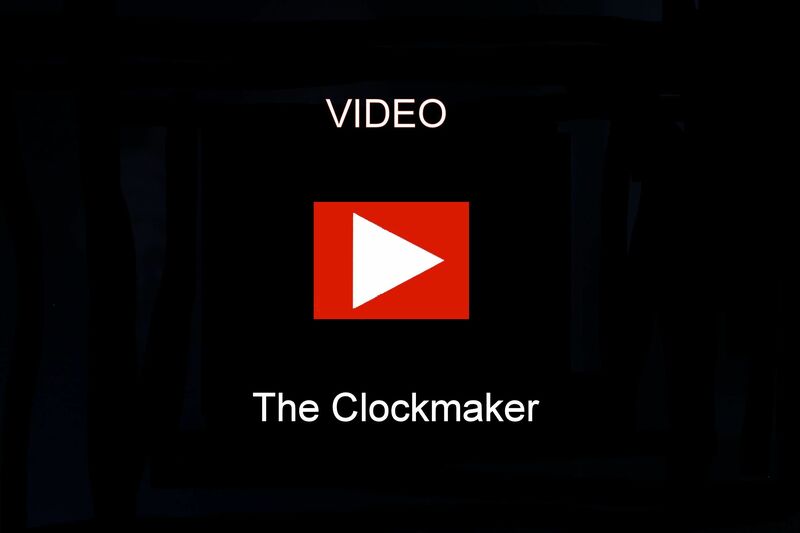 On one side of the house there is a workshop where the clock maker raises his tools in time to the cuckoo call, which is once on the half hour and on the full hour according to the time. Two alternating melodies - Edelweiss and Happy Wanderer - play every hour. Meanwhile the clock seller with cuckoo clocks on his back moves his umbrella, the water wheel turns and the figurines wearing the Black Forest traditional costume dance around to the music. The clock is personally signed at the back by the manufacturer Adolf Herr. His signature guarantees the experience of 6 generations of clock-workmanship. This clock comes with a certificate of authenticity (AHC). wooden cuckoo silver bird (carved and handpainted). Height: 18 Inches (46 cm), only clock case with bell tower, without weights and pendulum.